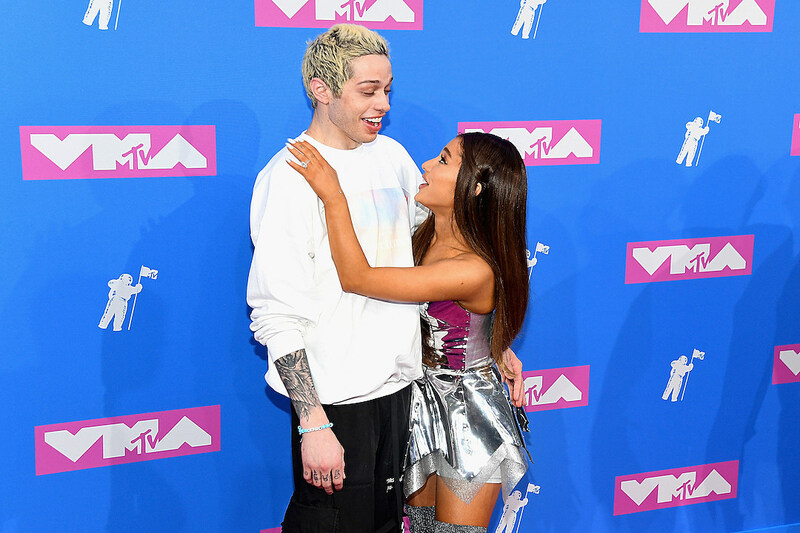 Ariana Grande wrote three versions of “Thank U, Next,” including one where she married Pete Davidson. The pop star was recently interviewed on The Zach Sang Show, revealing that she nearly didn’t release the version of the song the public has come to know and love. Grande, 25, wrote the song while her romance with the Saturday Night Live star was “on and off,” and she wasn’t sure how things would pan out for the pair. She wrote different versions of the song that would fit whatever real ending her whirlwind romance had. As for the decision to name her exes, Grande wasn’t sure what to do from the start. Ultimately she decided to do it, but it wasn’t an easy decision to reach. “I’m, like, super shy when it comes to, like, pitching wild things,” she shared. “And so I was like, ‘Is it, like, insane if I name people and thank them directly in the song?’ And Taylor was like, ‘Well, b—-. It’s gonna be a thing if you do, but I think it’s brilliant…I think it’s special and yes. Do it. Right now. Like, let’s do it,'” she said. The backup track featured Grande saying things like, “They say I’m too young” or “I got too many boyfriends,” rather than naming her ex boyfriends specifically. She focused in stead on the things the public was saying about her. “That song is for my mom’s closure and also as a thank you to her for helping me through a lot of s—…It was just a beautiful moment for her,” Grande shared. She didn’t touch on how her exes felt about the song, but previously revealed that she spoke with them before mentioning their names on the track. Davidson has joked about his inclusion in the song several times.